The month of October is Adopt A Shelter Dog Month, a month dedicated to encouraging people to adopt and rescue a dog at their local animal shelter. There are many great reasons why you should adopt, rather than buy, a dog at your local shelter. You can also visit your local animal shelter to learn more information about adopting, what kind of shelter it is, and much more. If you still want to support your local shelter but can’t care for a pet in your home, then there are other actions you can take. Dogs from a shelter are cleaner than pet shop dogs. Not only are they cleaner, but they are also healthier. Shelters usually vaccinate their dogs as well as spay and neuter them. On top of all of that, shelter dogs don’t have as many problems on a genetic level than dogs from a pet shop. Pet stores rely on obtaining “purebred” dogs from puppy mills. Dogs that are purebred are forced to mate with their relatives, and as a result, end up receiving more genetic defects and diseases than mutts do. Those who run puppy mills don’t care about the fact that their animals may end up or currently have physical problems. They don’t even take great care of their dogs. To them, dogs are nothing more than a means to earn more money. 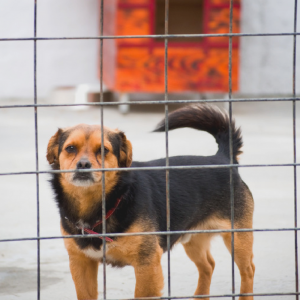 Adopting a dog can discourage the demand for dogs bred from these cruel puppy mills. You can learn whether or not your local shelter is a no-kill shelter by checking them out in person. The shelter can provide you with useful inform ation on how their dogs are treated, and how to care for a dog, yourself. Maybe your next visit will end with you adopting a new dog. 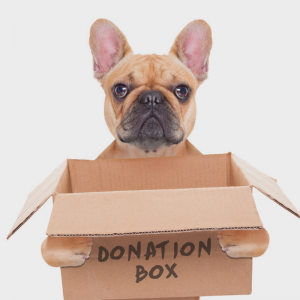 Volunteering and donating are great alternatives to helping your local shelter. You may not be able to own a pet of your own or may simply not want to. That’s alright because you can go to your local shelter instead to help out. Just doing basic tasks like washing dishes and feeding the pets can be a huge benefit to the shelter. Even if you don’t have the time to volunteer, you can still donate money. A little bit of money can go a long way at these shelters. Please donate to American Humane in Washington DC, or your local Humane Society and don’t hesitate to call at (800) 227-4645. They founded Adopt-a-Dog Month and are dedicated to rescuing shelter dogs. For all your plumbing needs in Annapolis, MD call Heidler, Inc.at (410) 268-7191.